DURING March 2019, the number of property sales contracts deposited at Land Registry office across the Republic of Cyprus stood at 766 compared with the 768 deposited in March 2018 according to official figures published by the Department of Lands and Surveys. Of those 766 contracts, 398 (52%) were deposited by Cypriots and the remaining 368 (48%) by non-Cypriots – 125 of whom were EU citizens and 243 non-EU citizens. Apart from a 48% fall in sales in December 2018 due to the rush to buy land in December 2017 before the government introduced VAT on land sales, the number of property sales had increased for the past 23 months. Although property sales rose by 13% in Famagusta, 8% in Paphos, 4% in Nicosia and 2% in Larnaca, a fall in sales of 9% in Limassol completely wiped out the rises in the other four districts. Sales during the first quarter of 2019 rose 11% compared to the same period last year. Total sales until the end of March stood at 2366 up from 2129 last year. Sales in Nicosia rose 32% followed by Paphos, where sales rose by 17%. Meanwhile sales in Larnaca and Famagusta rose by 9% and 4% respectively, while the total number of sales in Limassol over the quarter fell by one. Domestic sales fell 8% in March 2019 compared with the same period last year, with sales falling in all districts with the exception of Nicosia, where they rose by 11%. 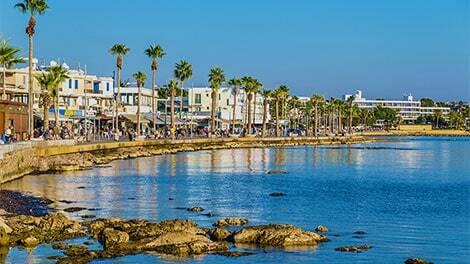 Sales in Paphos, Larnaca and Famagusta fell by 35%, 30% and 11% respectively and sales in Limassol fell by 4%. During the first quarter of 2019 sales to the domestic market rose 20% compared to the first quarter of 2018. Property sales to the overseas (non-Cypriot) market during March 2019 rose by 9% compared to the same month last year with 368 contracts of sale deposited compared with 337 in March 2017. Although sales in Nicosia and Limassol fell by 27% and 17% respectively, they rose in the remaining three districts. Sales in Larnaca rose by 45%, sales in Famagusta rose 32% and sales in Paphos rose by 22%. During the first quarter of 2019 sales to the overseas market rose 11% compared to the first quarter of 2018. Property sales to EU nationals rose 11% in March compared with the same month last year. Sales in Limassol fell by 38% and they remained static in Nicosia. However, sales in Larnaca rose 133%, while sales in Famagusta and Paphos rose by 75% and 11% respectively. During the first quarter of 2019 sales to EU nationals have risen 13% compared to the first quarter of 2018. Sales to non-EU nationals in March rose 8% compared with March 2018. Although sales in Nicosia and Limassol fell by 46% and 10% respectively, these falls were more than compensated by increases in Paphos (+30%), Larnaca (+25%) and Famagusta (+12%). During the first quarter of 2019 sales to non-EU nationals have declined 2% compared to the first quarter of 2018.